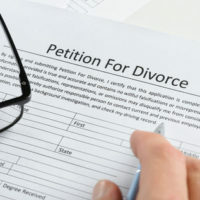 Dividing marital property in divorce is one of the most challenging aspects of the process, and an issue that often leads to disputes and ongoing litigation. Figuring out how to allocate assets and liabilities is not easy when emotions of this event are bound to influence each spouse’s goals. If one or both spouses has a business or interest in a business that can be classified as marital property, additional complicated questions related to valuing the company and when that valuation should happen are introduced. The answer to both these questions is ideally negotiated between the couple, but a court can make the decision if the proper information is presented. Because valuation methods differ and the value of a company can vary depending upon when the enterprise is assessed, couples able to agree on these issues know what the outcome will be and can plan for how best to divest a spouse from business operations, if necessary, and pay the amount he/she is entitled to receive. A court’s decision will be unknown, leaving one or both spouses guessing what the judge will decide. However, given how invested each spouse is in the value, courts are routinely asked to settle this matter. A discussion of how businesses are typically valued, and how courts will approach choosing the date to assign a value, will follow below. Pennsylvania law does not require spouses use a particular valuation method for the division of assets in divorce cases, but generally approve of the fair market value approach, which looks at how much a company would sell for if the buyer and seller knew the relevant facts and neither were under pressure to buy or sell. A professional business valuator will perform this analysis, and the couple can agree on one valuator, which saves on costs, or have separate valuations performed. However, since the circumstances of divorce vary widely, other valuation methods may be more appropriate, especially if a venture is in progress but the realization of the true value of the investment is not presently known. If the valuation seems unreasonably low, hiring a forensic accountant to examine the records for evidence the true value of business is being hidden may be necessary. In addition, Pennsylvania law calls for the deduction of the tax consequences and expenses of a sale, even if a sale is not definite, to ensure both parties share in this burden and one does not receive a windfall simply because the business is sold at a later date. When Is the Valuation Effective? The second critical factor in business valuations is when the court will set the value for purposes of division and distribution. The two options that courts use are either the date of the separation or date the marital property will be divided. Generally, the date of distribution is used in most cases because that accounts for increases and decreases in value while the divorce action was pending. Only in limited circumstances will the date of separation will be used, such as when a spouse disposes of marital assets or the valuation is otherwise difficult, i.e., a radical change in stock ownership interests. The more complex an asset, the harder it is to divide it in divorce. An experienced divorce attorney is your best resource to learn how to approach classifying and dividing assets and liabilities, and the divorce attorneys at the office of Barbara Flum Stein & Associates know how to get you a fair result. Contact the Delaware County divorce firm today at (610) 565-6100 to schedule a consultation.